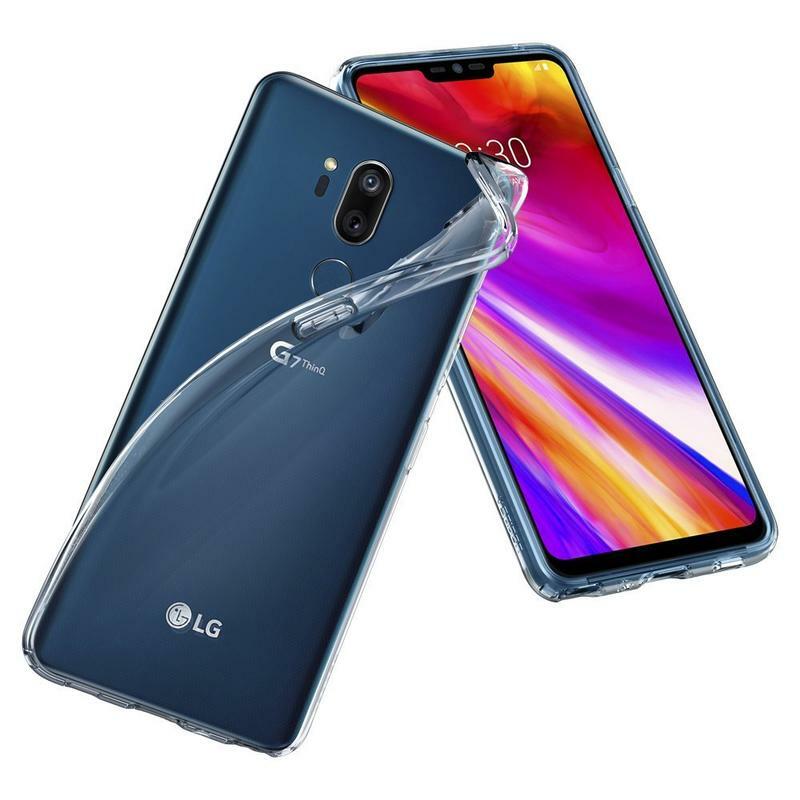 LG didn’t create a 2018 flagship that’s impossible to break. The G7, like every other mobile device around, is vulnerable to scratches, cracks, and more. 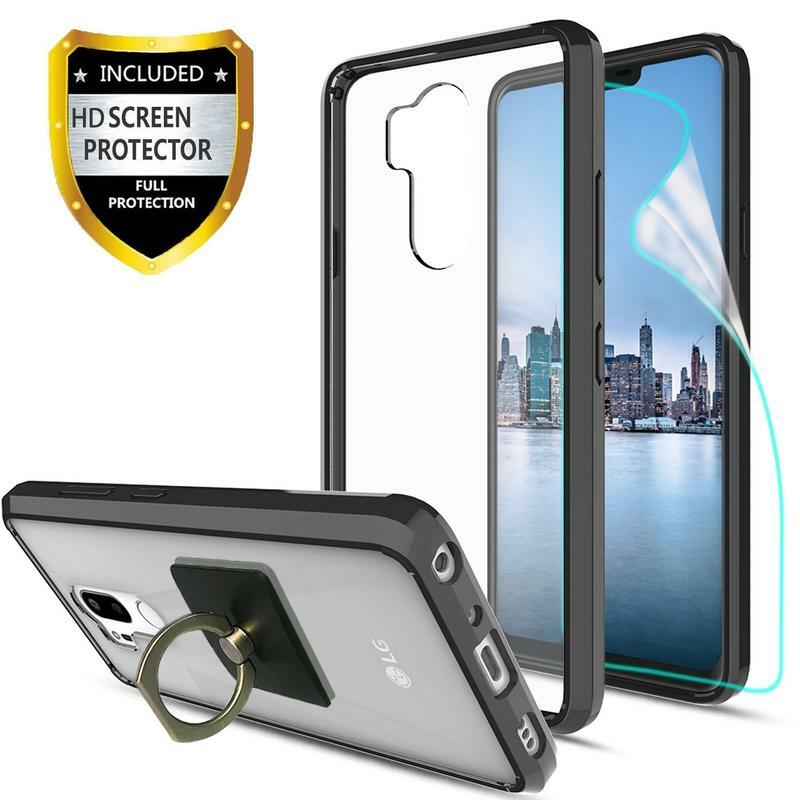 But you can shield your phone just by putting a case on it. 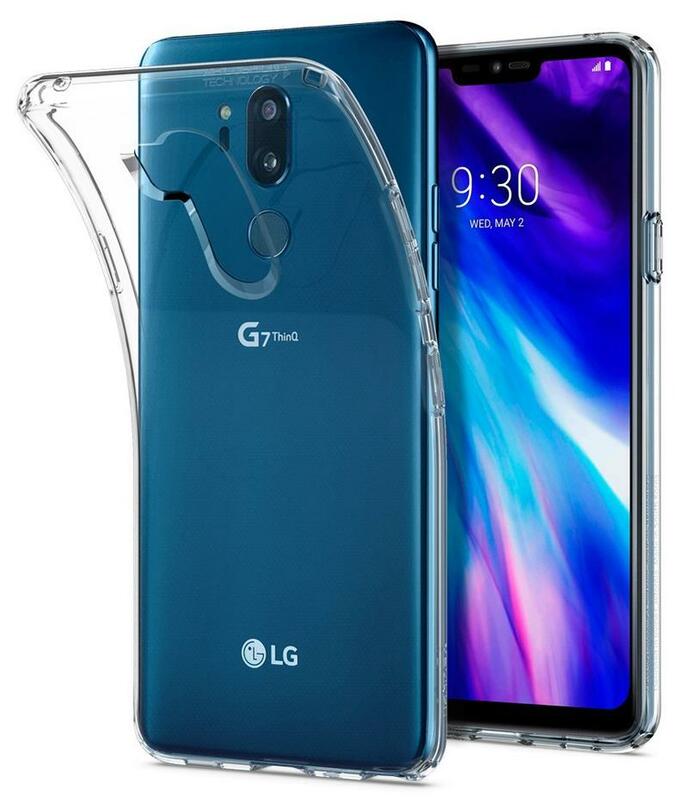 That’ll stop sharp objects from doing damage and provide much-needed absorption if the G7 takes a dive. 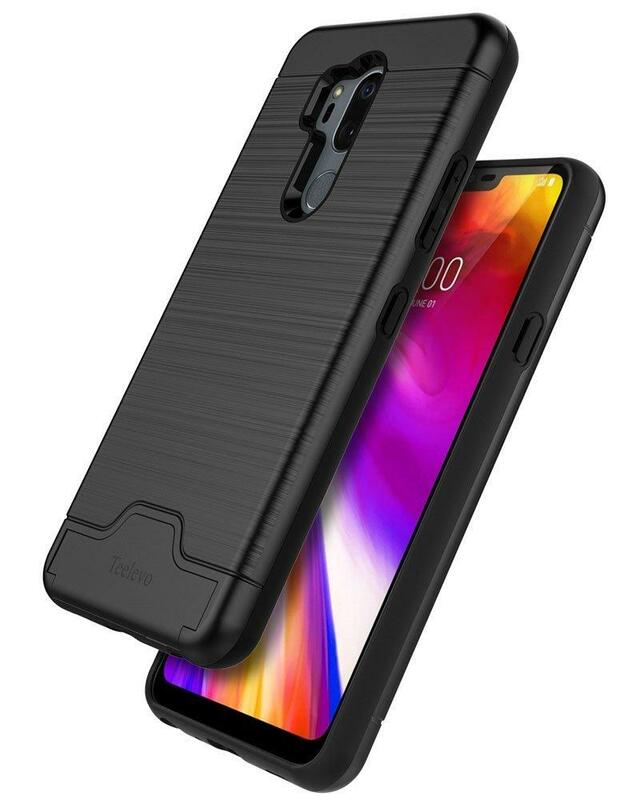 Cases don’t have to be about protection or style alone. You can get both of them together if you’d like. 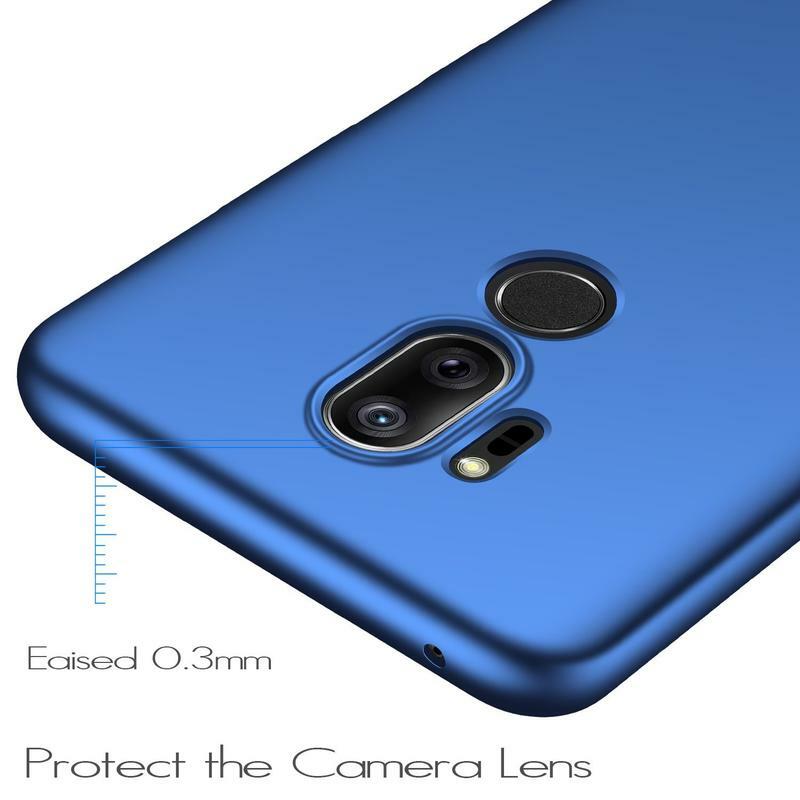 Since there are a large number of cases for the G7, we did the research for you and picked out the very best ones. 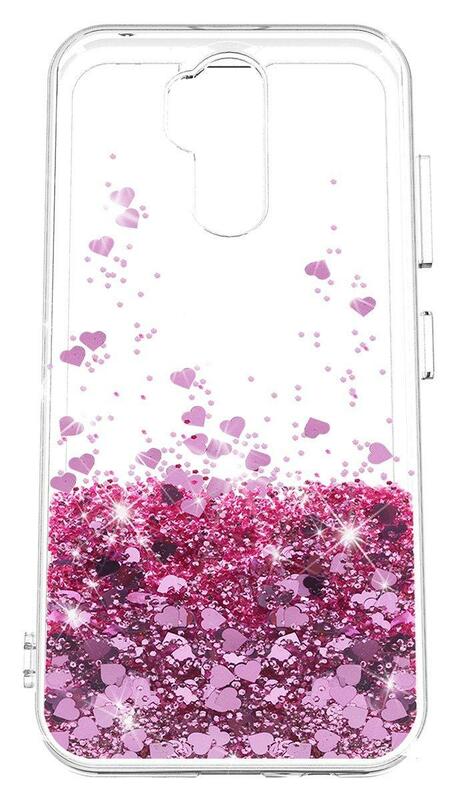 Our picks include cases that blend protection and style, so you really have a diverse pool of cases to choose from. 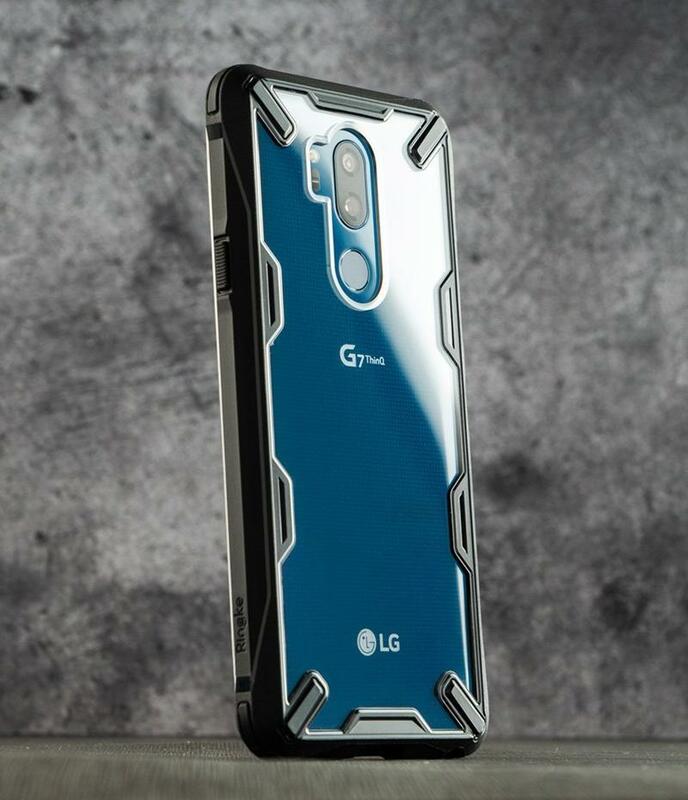 Here are some of the best cases for the LG G7. VRS Design put functionality alongside style for its Damda Glide case. 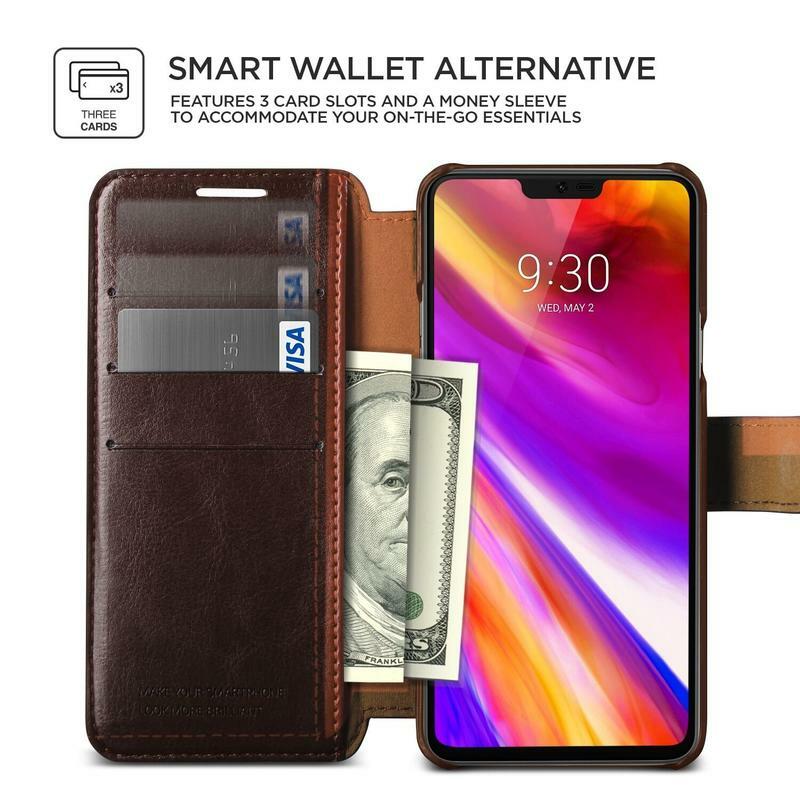 The accessory has a two-tone finish, but more importantly, you’re able to replace your wallet by storing cards and cash inside. 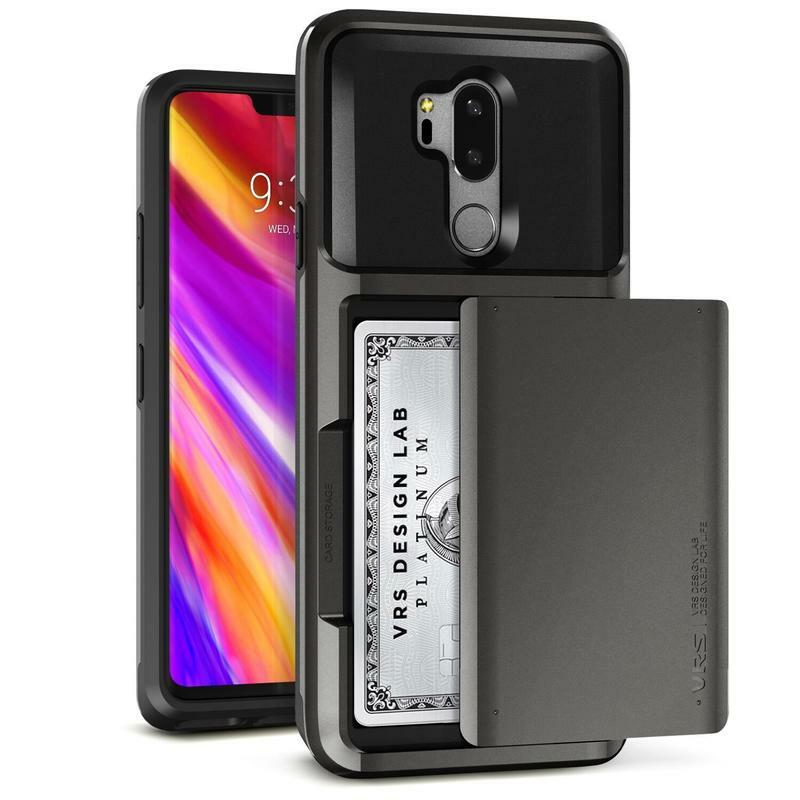 The case holds up to two cards along with some cash securely as it has a semi-automatic spring loaded hinge. What that means is items aren’t going to slip out while you’ll also be able to get the cover to open easily. 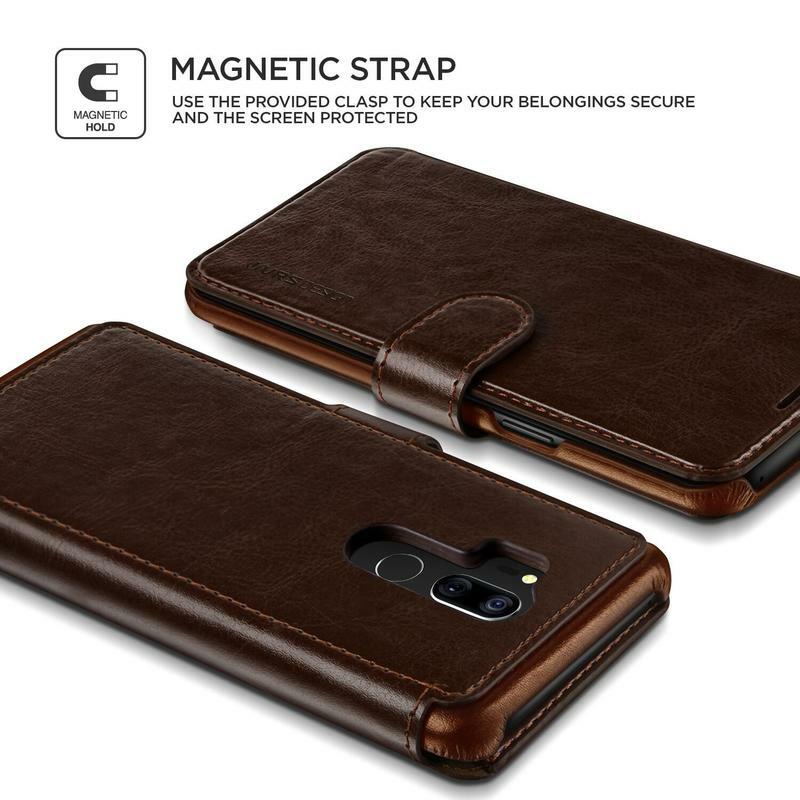 Aside from being a stand-in wallet, this case gives you high-level protection. 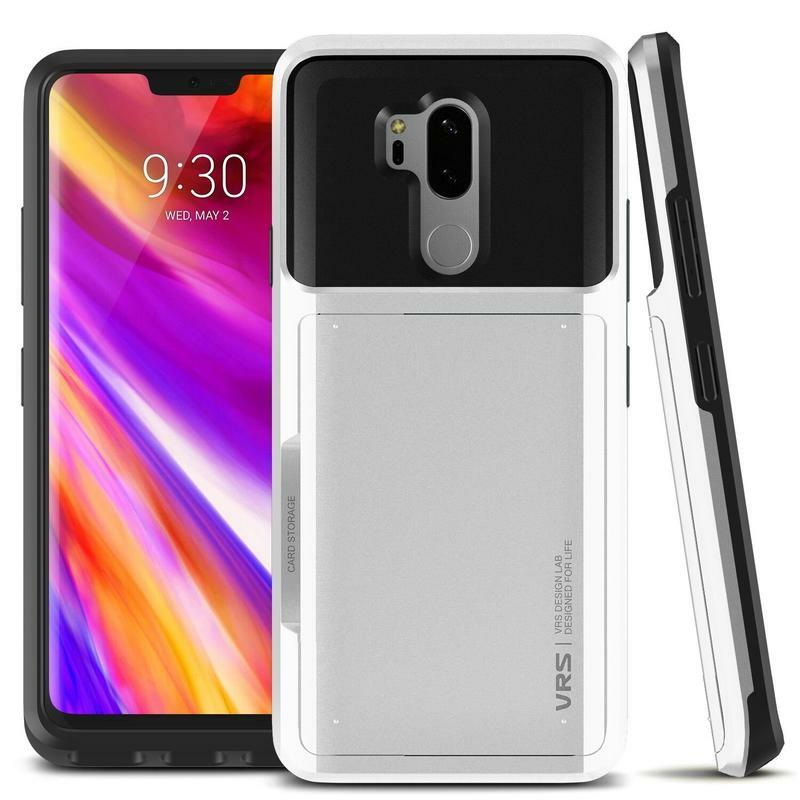 VRS Design uses a dual-layer structuring with thermoplastic polyurethane (TPU) and polycarbonate (PC). 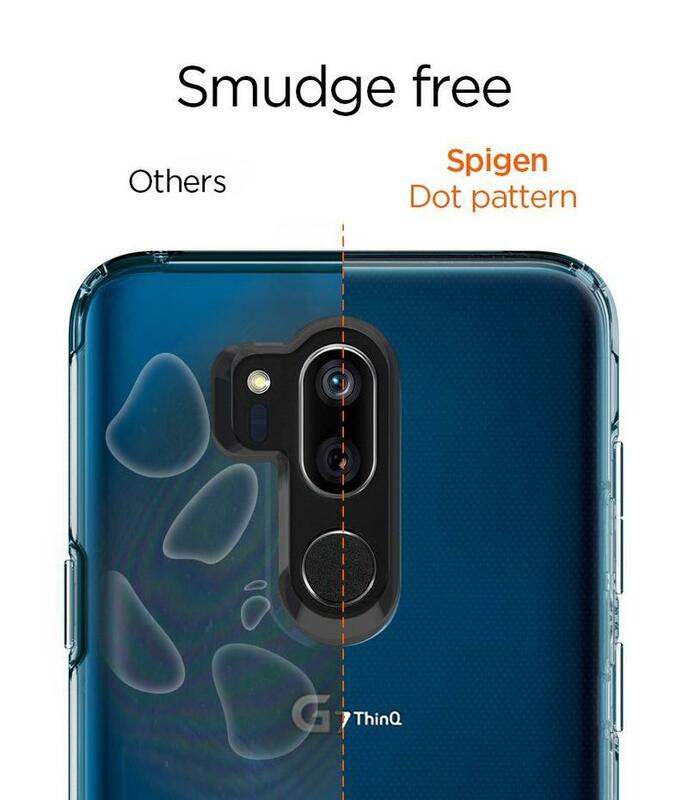 The TPU cushions the G7 during impact, and the PC is hardened to deflect incoming jabs. It’s that PC-based exterior with a non-slip texture ensuring your G7 stays free from daily wear and tear. 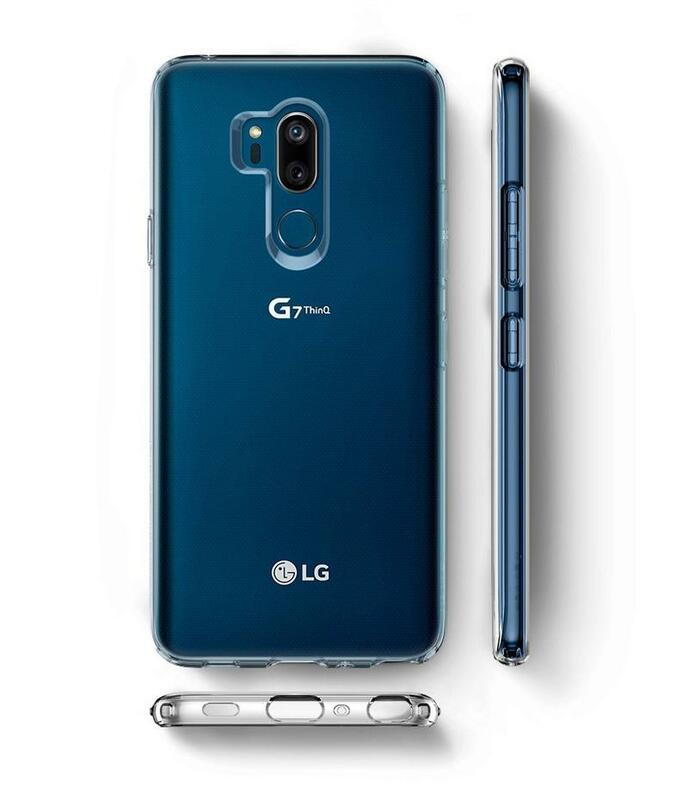 Yet you’re not adding a significant amount of thickness to the G7. 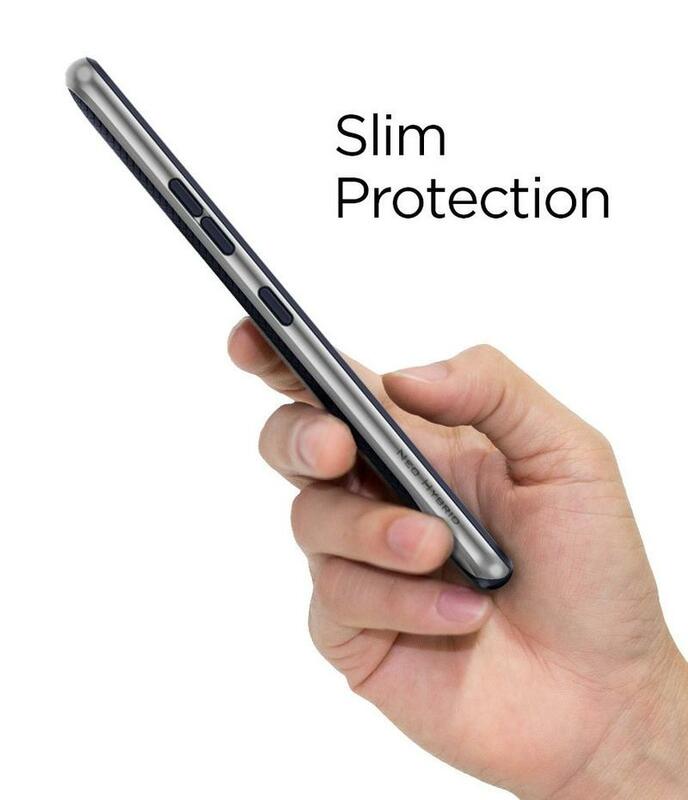 The Damda Glide case is pretty thin and light for its purpose. The cases you’ve seen with barely-there thickness can be hit or miss. Too many brands are using cheap materials that break down quickly. 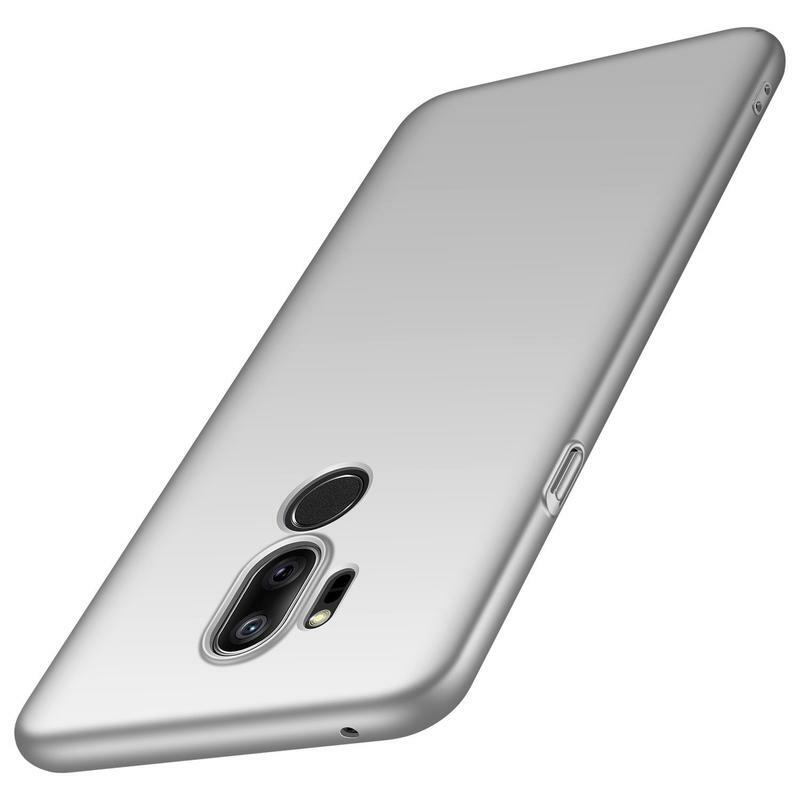 Anccer, however, makes a premium ultra-thin case for the G7 that lasts. 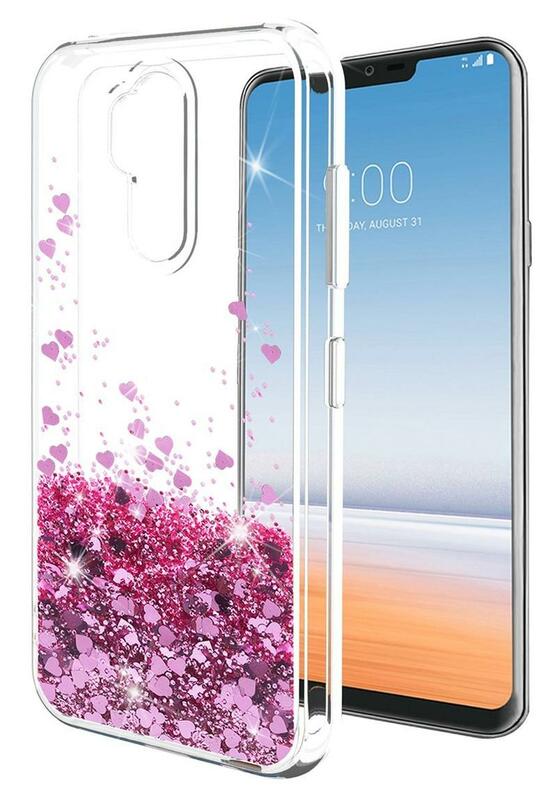 The case from its Colorful series is ultra-thin but protective to an extent. While you won’t get much in terms of drop durability, Anccer’s case will prevent scratches from accruing over time. 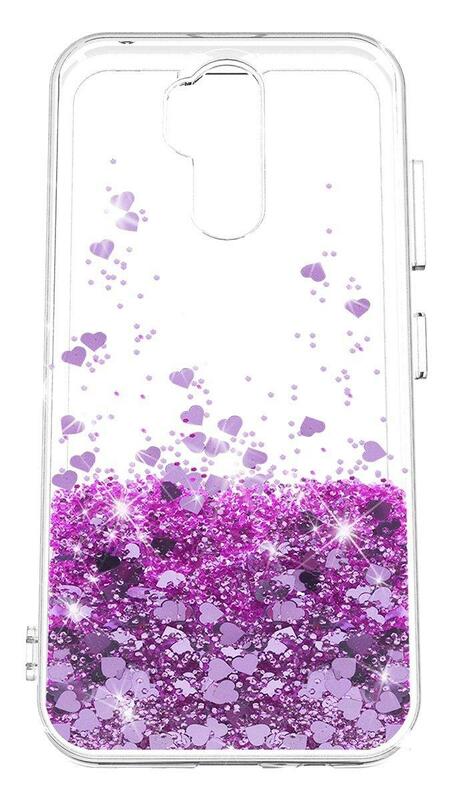 If you rarely drop stuff, the Colorful case is for you. Anccer also lets you choose from nine colors in gravel or smooth varieties. 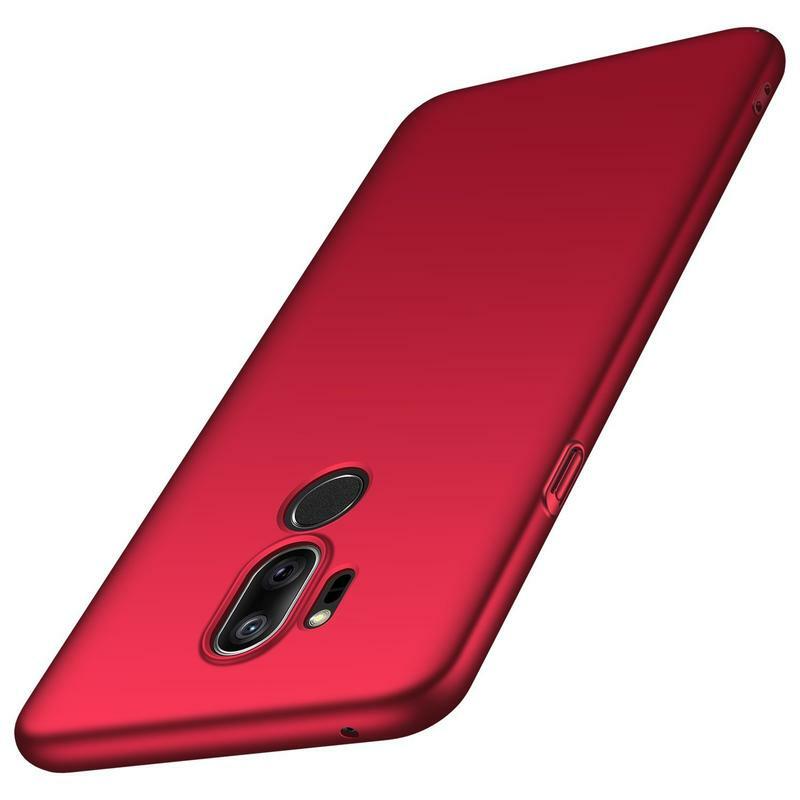 The Neo Hybrid case is a dual-layered accessory. Still, its overall size is minimal. 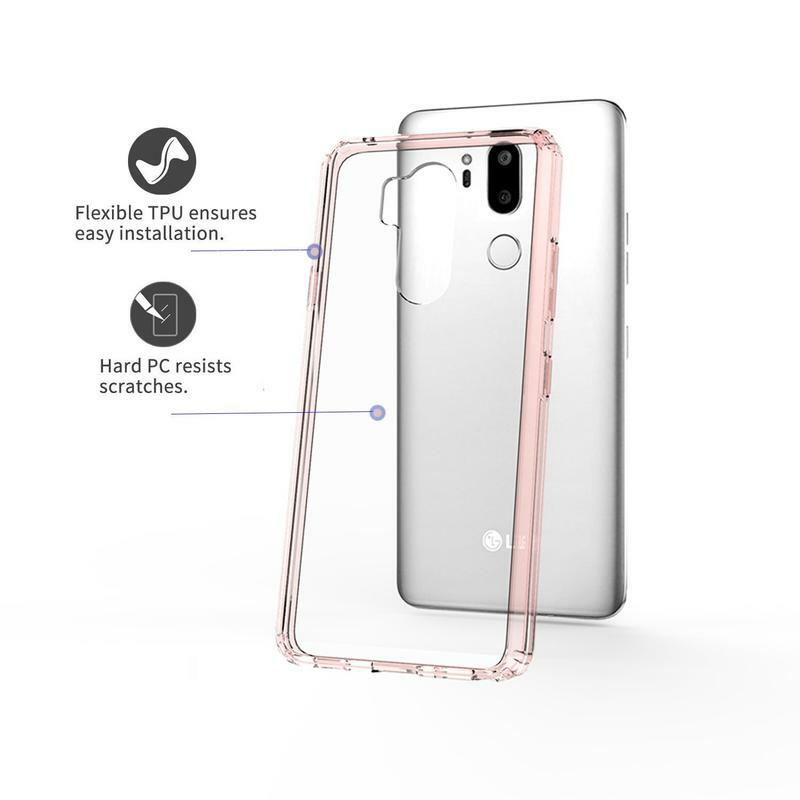 Spigen uses TPU and PC as a one-two punch. The G7 should remain unscathed if it goes airborne and meets the ground. 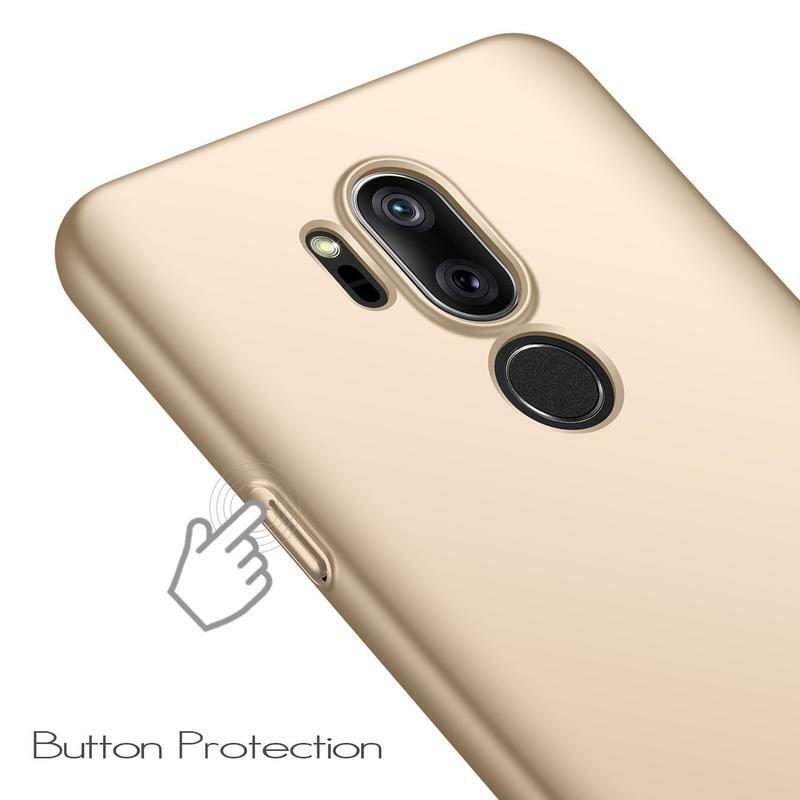 TPU absorbs shock, and PC acts as a deflective bumper. Spigen is a name you know, and it’s definitely one we trust here at TechnoBuffalo. The brand’s consistently rolled out premium accessories that are easy on your bank account. 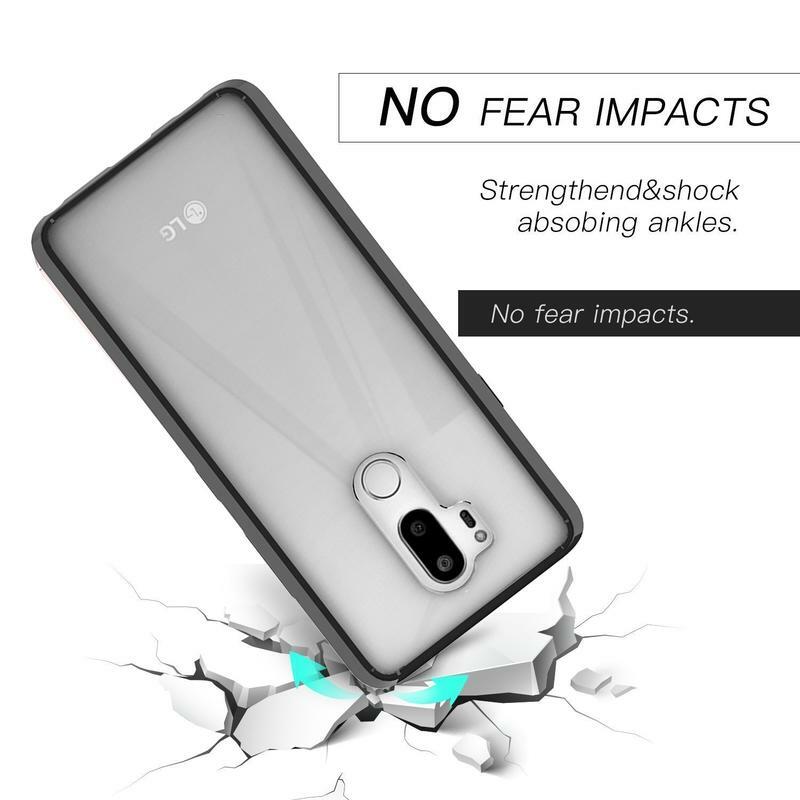 On top of it all, Spigen includes a warranty that makes using the Neo Hybrid case worry-free. If something happens to your case, just get in touch with Spigen’s support team for a replacement. 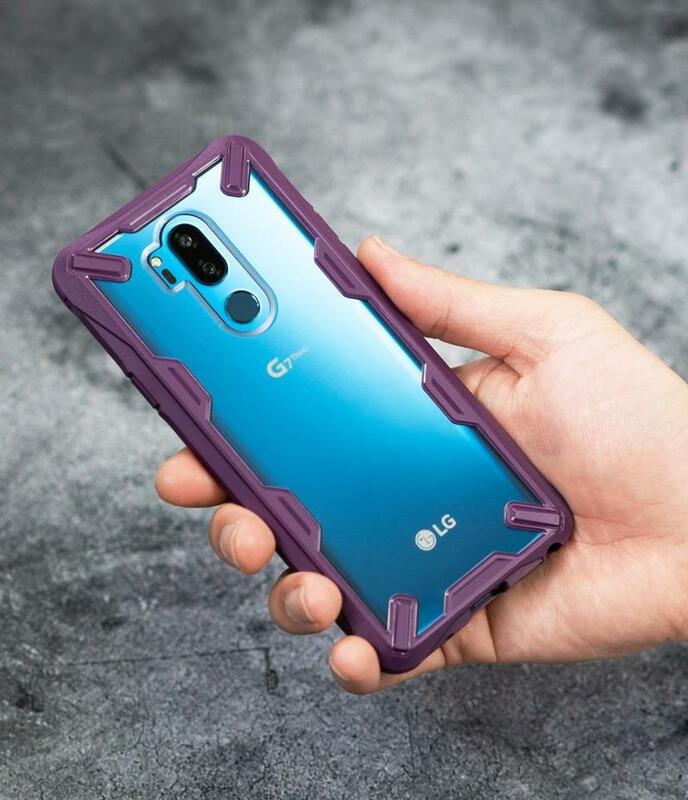 Then you’ll be back to giving your G7 clean, attractive protection from the brand’s Neo Hybrid case. You stare at your phone all day, and now you can let others do the same from the other side. SunStory makes the Quicksand Glitter case. As its name suggests, there’s built-in glitter that flows through the transparent TPU shielding the G7. 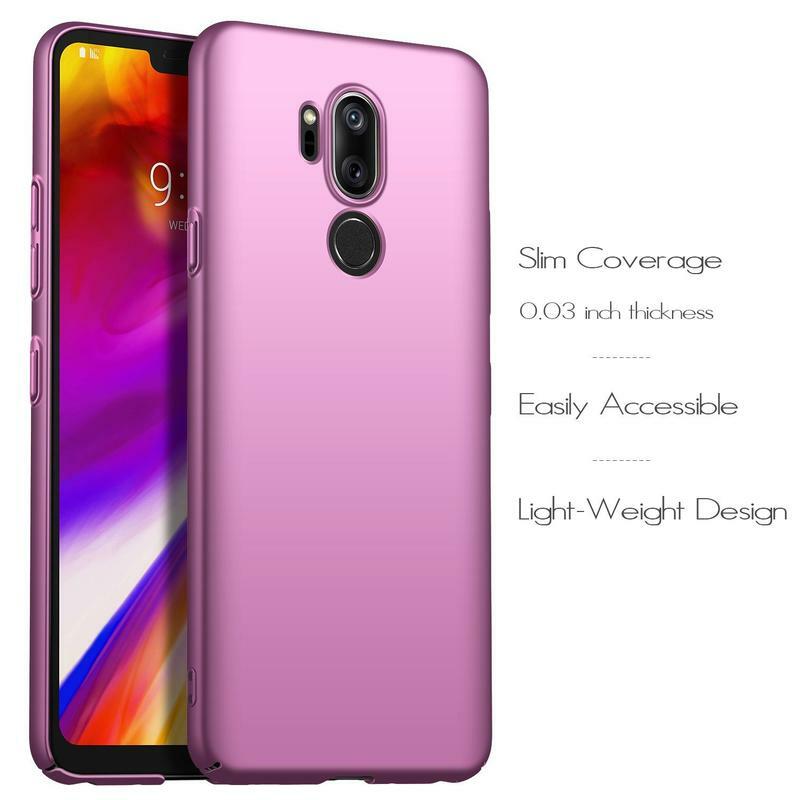 The case is offered with purple- or rose-gold glitter, and that should pair perfectly with the rich colors LG’s flagship comes in. The Layered Dandy case doubles as a wallet, and you’re even getting full coverage. VRS Design uses a premium leather to wrap around the entire G7. Don’t be fooled, though. 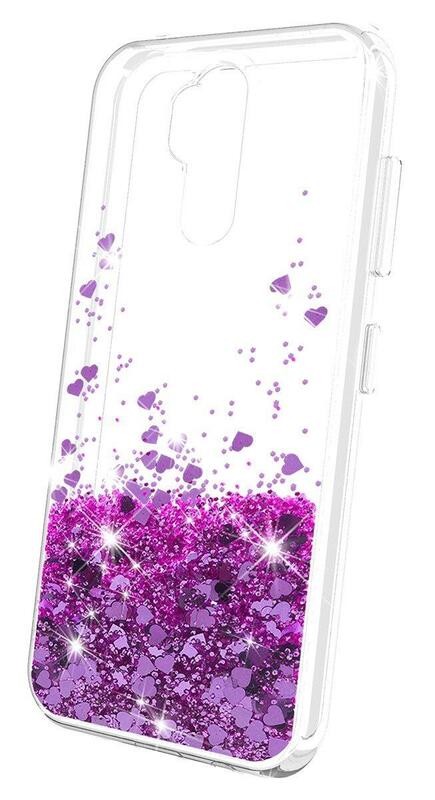 There continues to be a modest amount of protection keeping your phone from breaking into a million pieces. The case actually has multiple layers of PC to brace for impact and act as a shield. 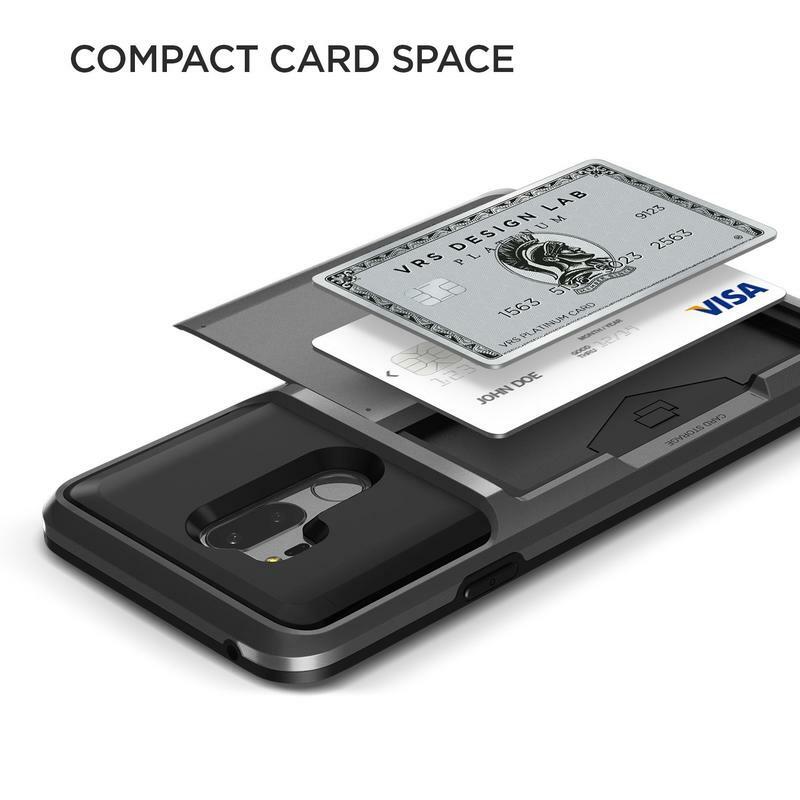 VRS Design says you can hold up to three cards and cash, so go ahead and leave your wallet at home. The Layered Landy can carry everything you need on a regular basis. 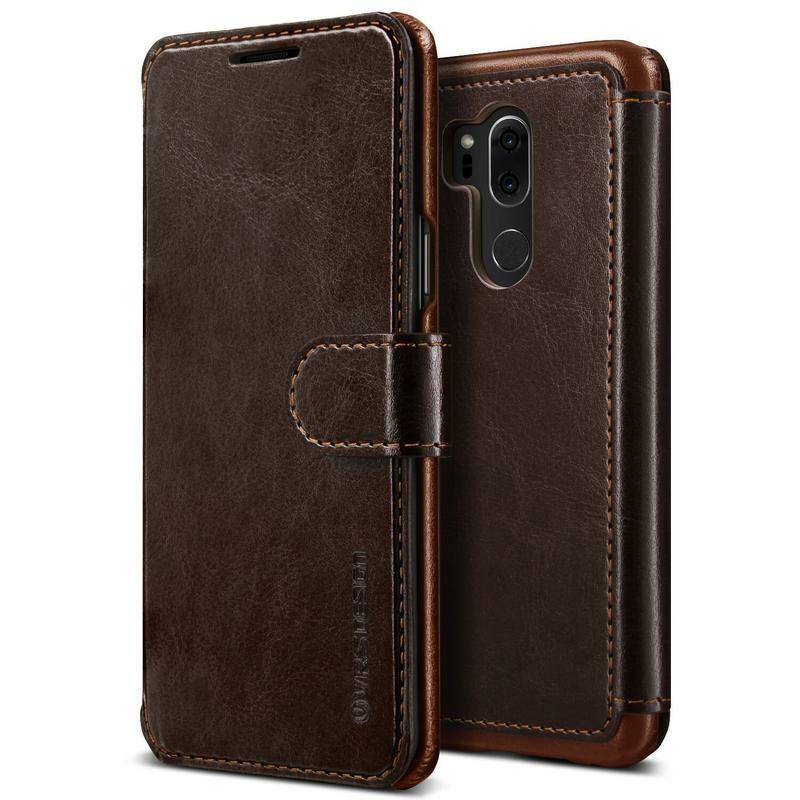 Other cases force you to squeeze important belongings into a single pocket, but the Layered Dandy has a clear advantage with its multiple slots. You might even be able to add more cards and cash than what VRS Design recommends. Even if you stick to the basics with an ID as well as a single card and some cash, you should be able to leave your wallet behind for good. 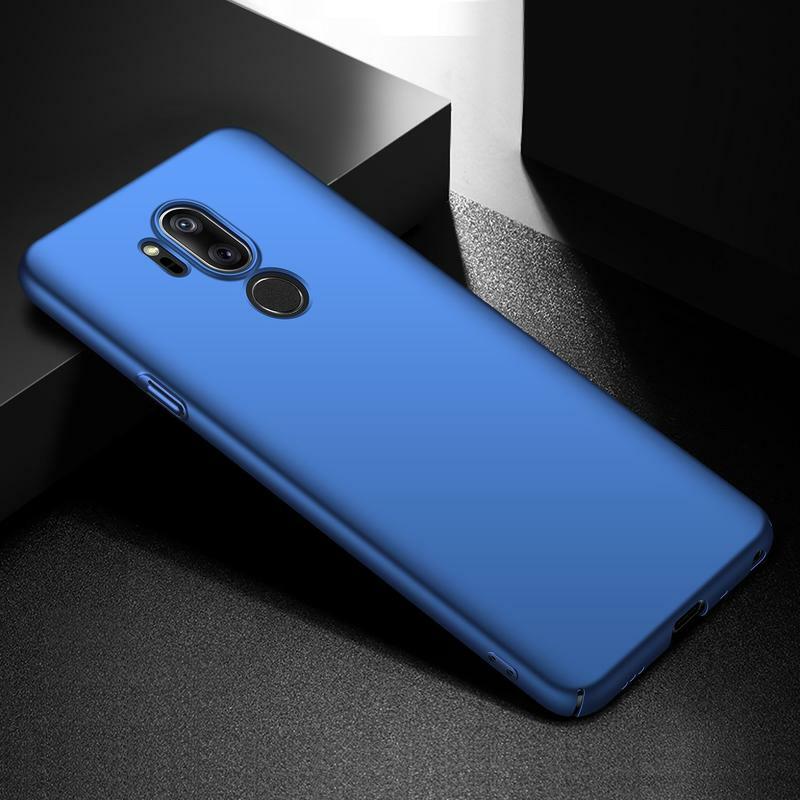 The G7 is a versatile phone, and maybe a versatile case is exactly what you need. Ymhxcy’s Air Hybrid case seems standard at a glance, but think about how useful that built-in ring is. 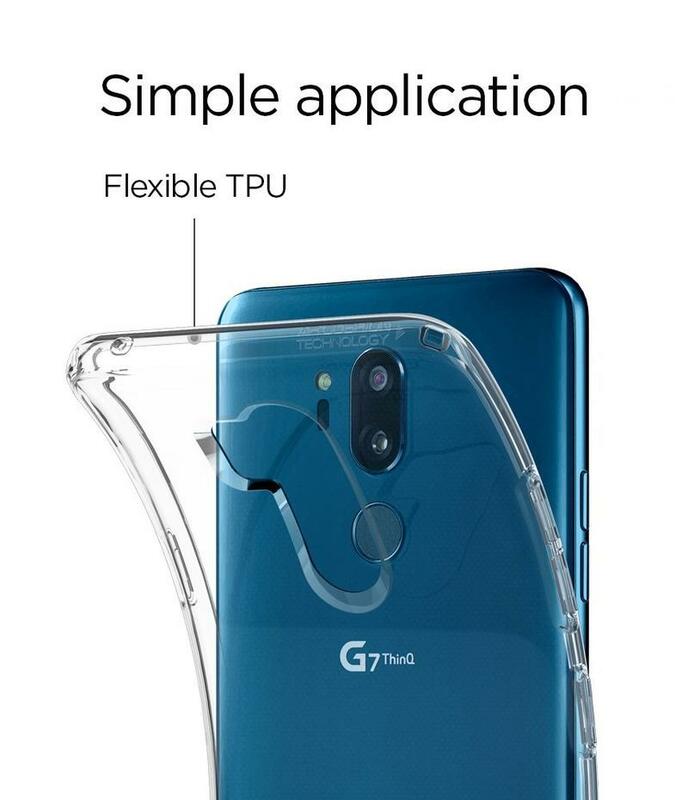 You won’t fumble the G7 around in your hand if the ring is popped out and a finger is through the loop. The ring provides an excellent grip to hang onto your phone. 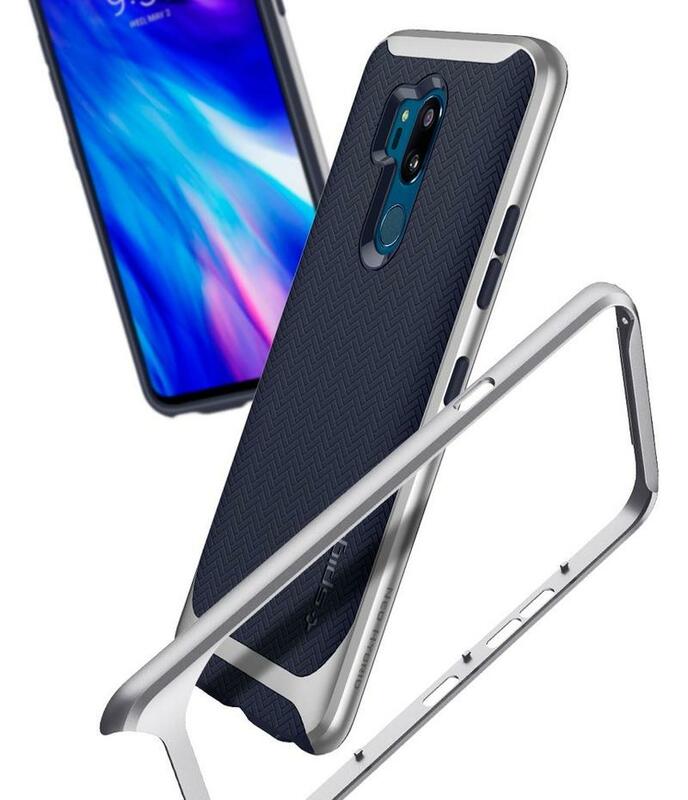 More than that, the Air Hybrid case’s ring doubles as a kickstand. 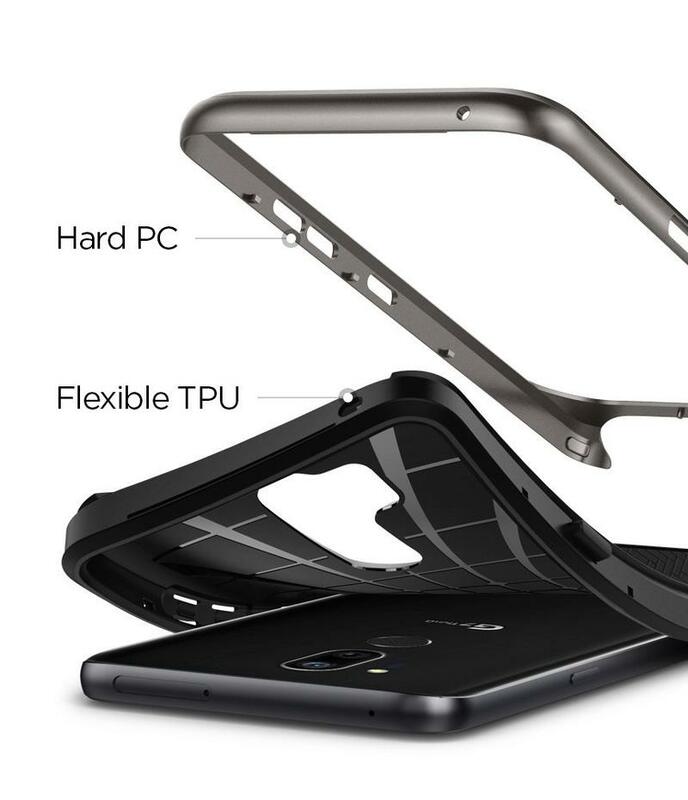 If you twist it enough, you’ll be able to prop your phone up on any surface. 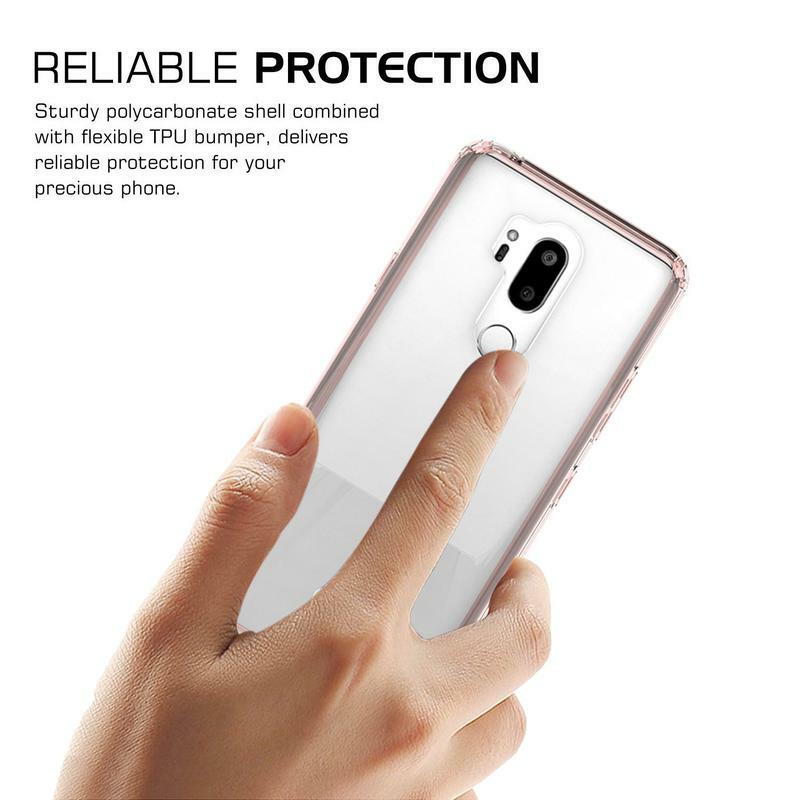 The case does, of course, have the protection you’re looking for. 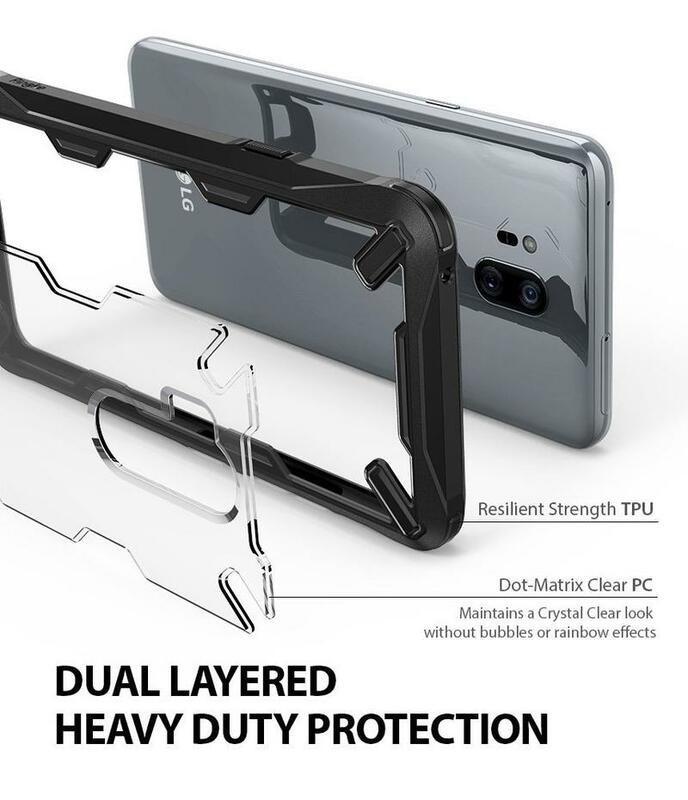 TPU and PC are working side-by-side, and Ymhxcy throws in a screen protector for free. 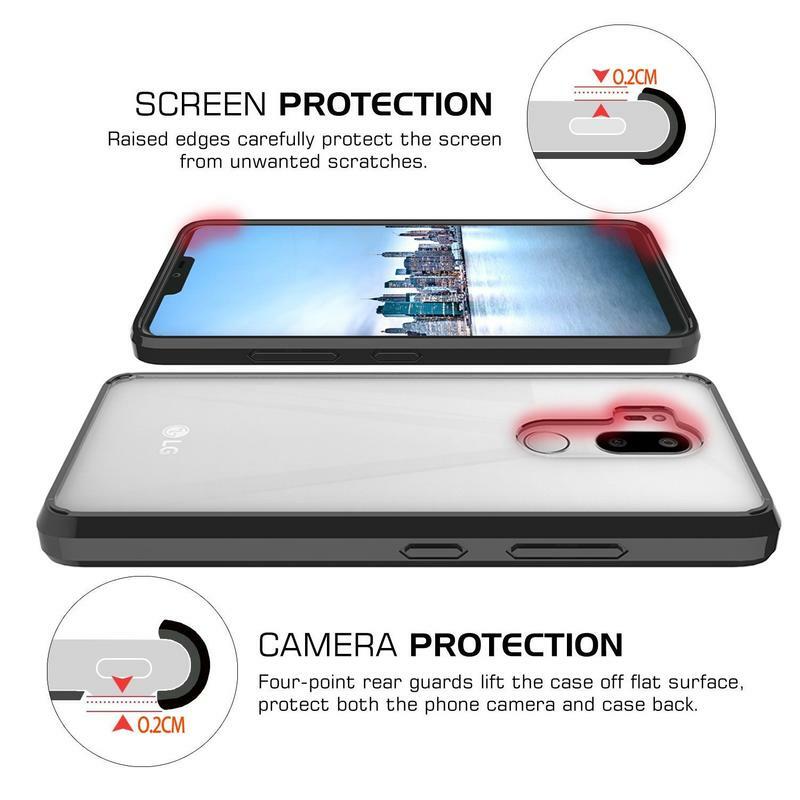 Most accessory makers aren’t doing bundles, but Ymhxcy gives a case and a screen protector backed by a month-long warranty for less than $10. 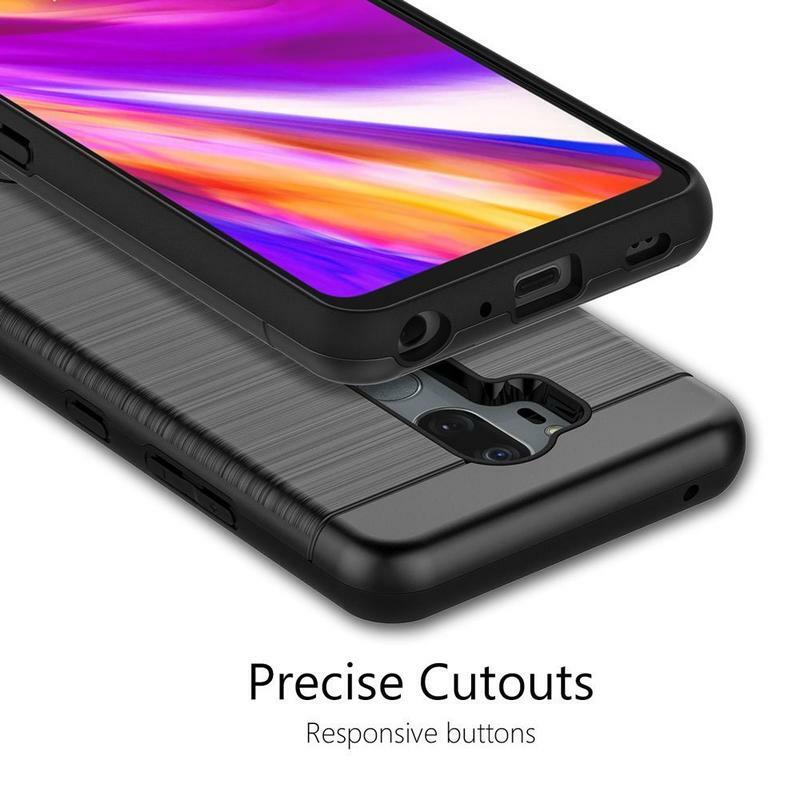 The Fusion-X case is a no-frills case. Ringke implemented its latest technology to maintain the G7’s condition as if it never left its box. 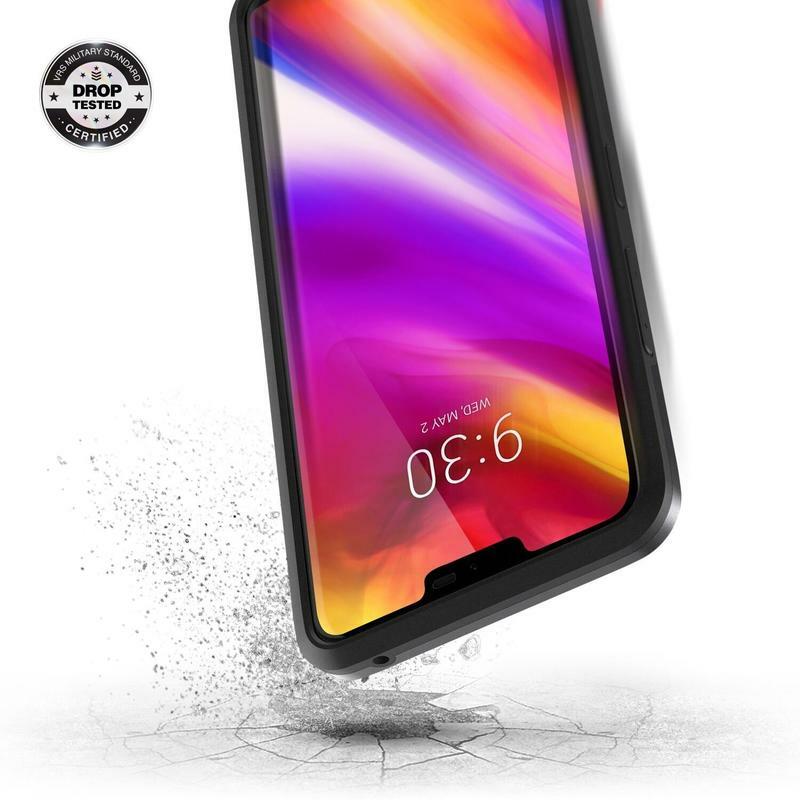 Resistance to scratches and drops is common, but the Fusion-X case exceeds expectations after completing military-grade testing. Your G7 can crash down or get smacked. Either way, it’ll remain intact with little-to-no damage. 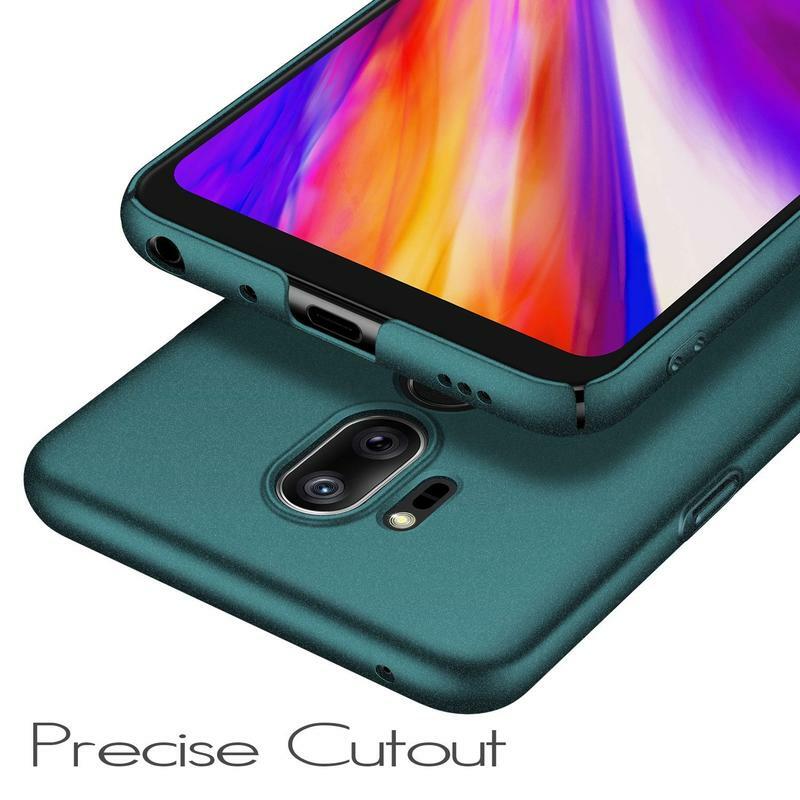 Odds are the Fusion-X case won’t slip from your hand anyway as Ringke uses an enhanced grip you can feel and hang onto. Surprisingly, Ringke’s heavy-duty case isn’t very large nor is it expensive. 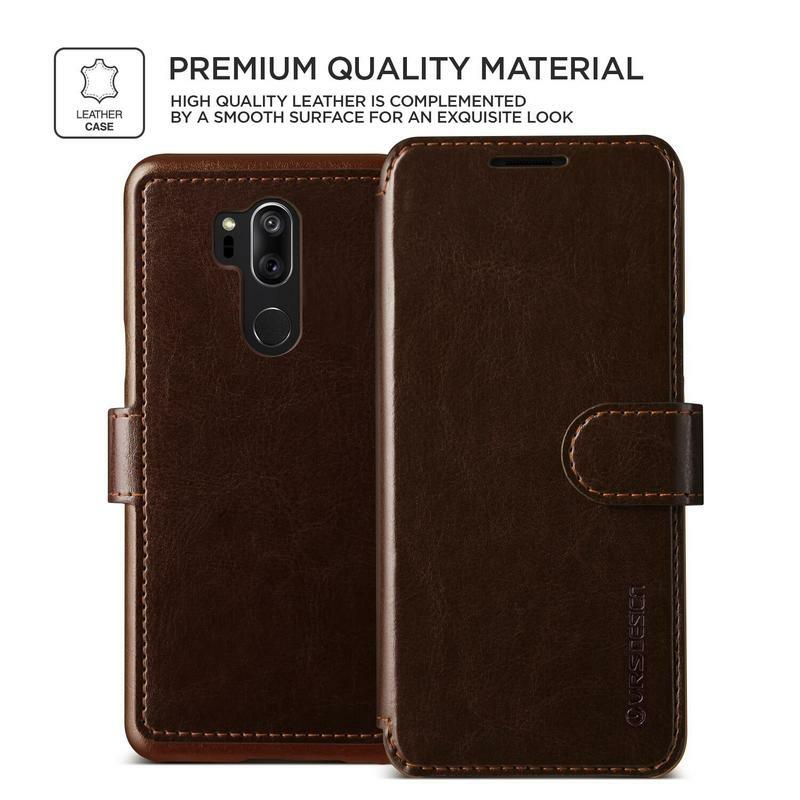 The design isn’t big and bulky, which you can’t always find from cases that care more about durability than anything else. 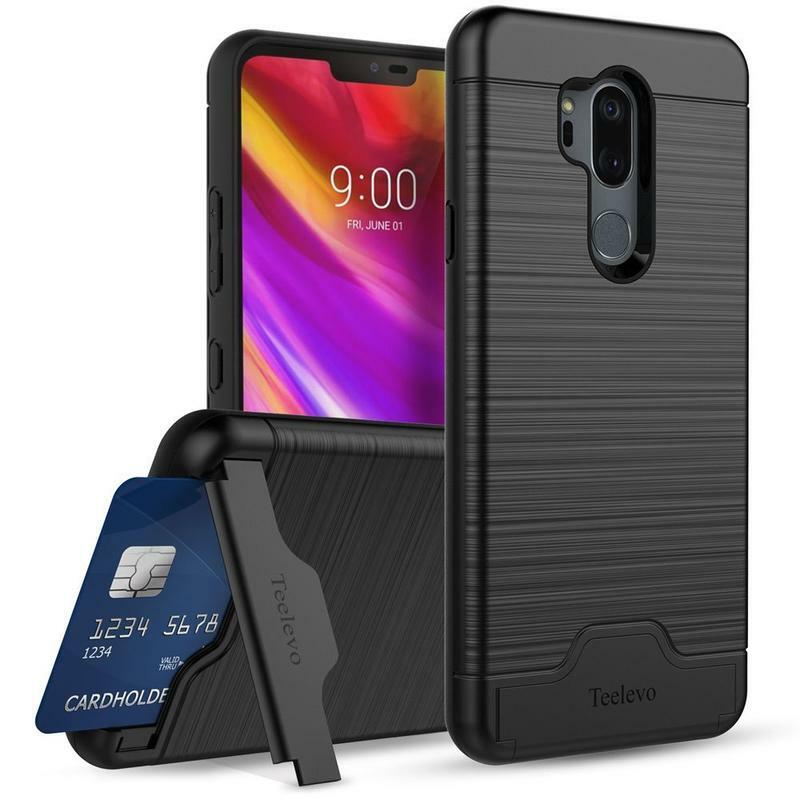 Teelevo gave the Card Holder case a brushed finish, so it’s not like some wallet-replacing cases that are unsightly. 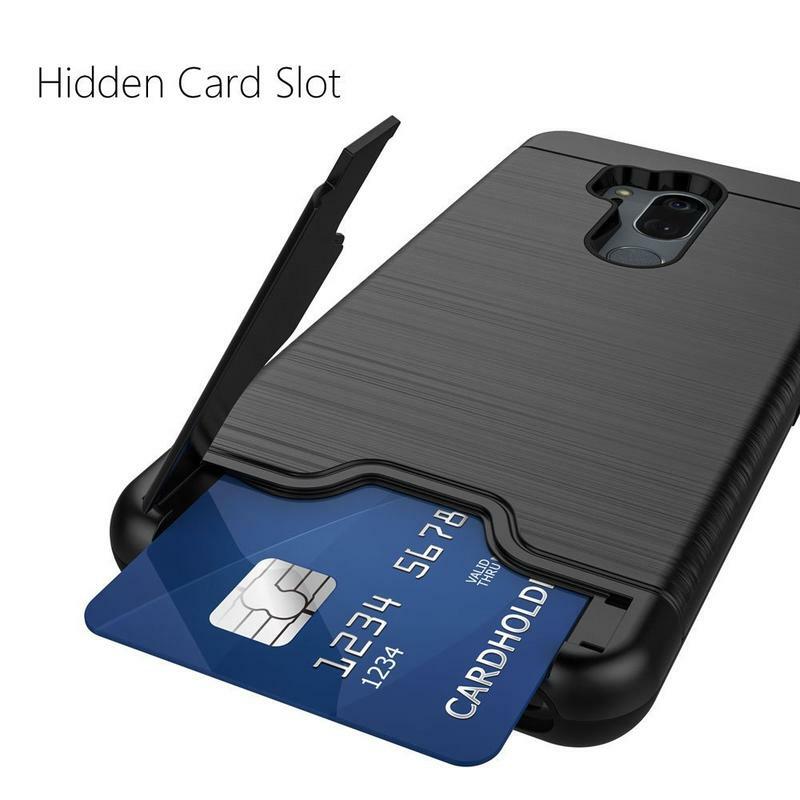 It’s pretty neat how your cards and cash slide into the bottom of Teelevo’s case. 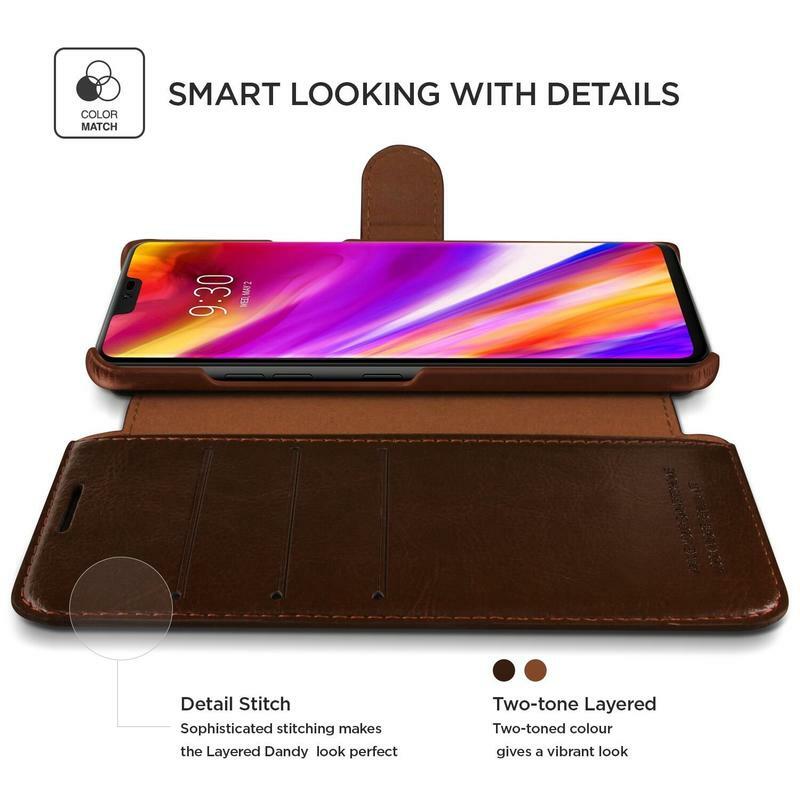 By looking at the Card Holder case, you wouldn’t think it’s storing personal items. You’re getting more for just $10 with free shipping, mind you. 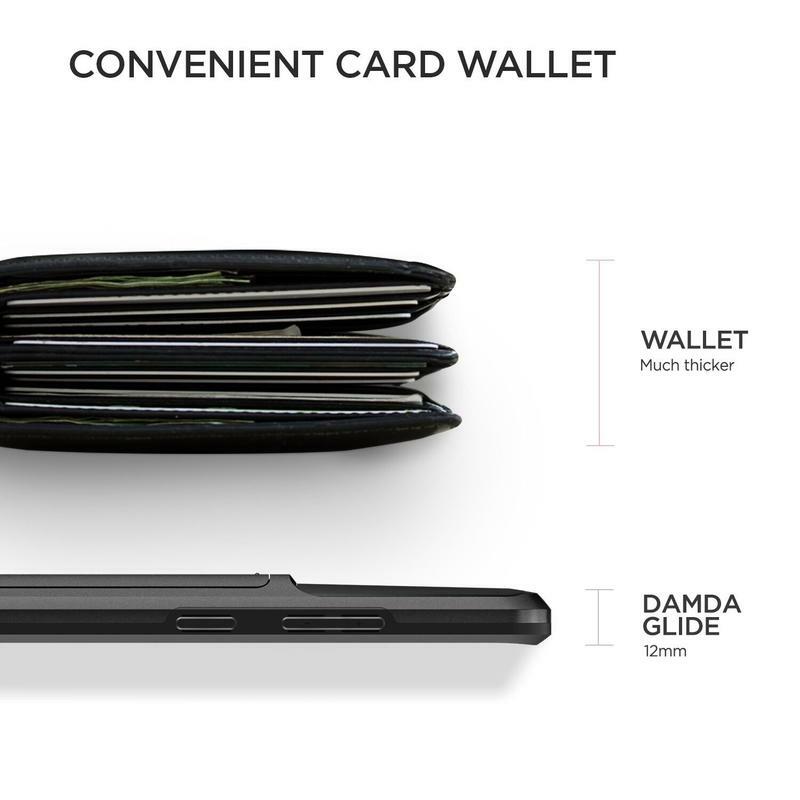 The brand didn’t stop at wallet-like capabilities. 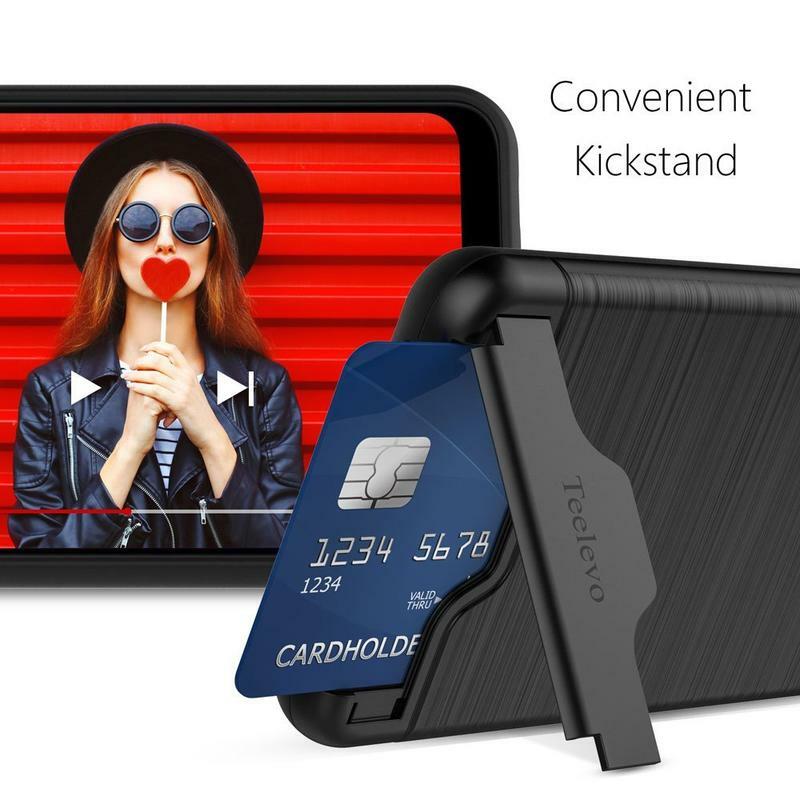 Teelevo’s Card Holder case also has a built-in kickstand. The kickstand is actually what keeps your personal items secure. Once the kickstand is open, you can get your stuff out or position the G7 in landscape mode for watching a video. 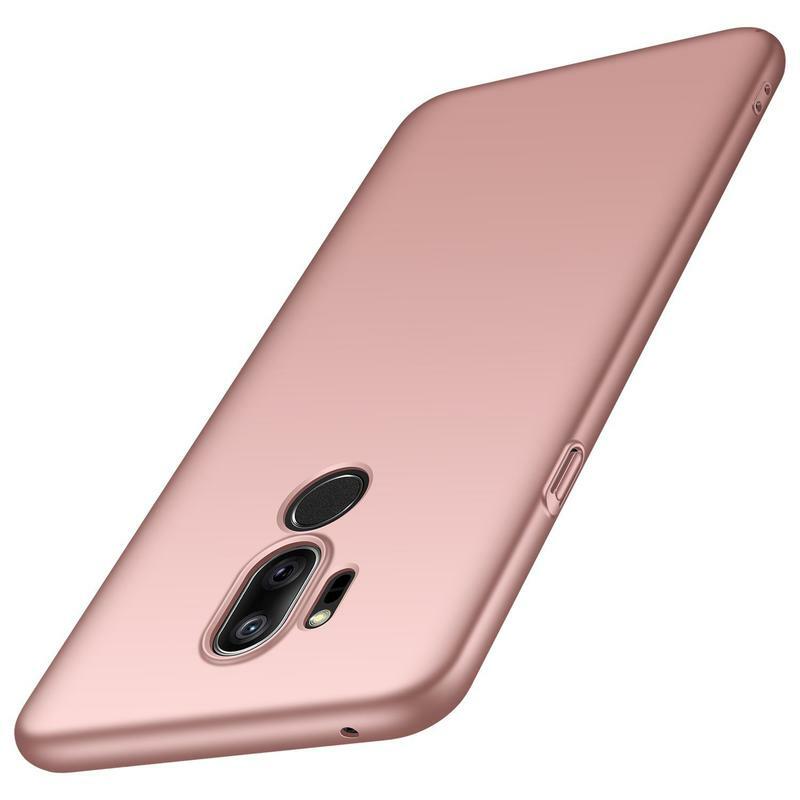 The Liquid Crystal case belongs on our list because sometimes you don’t want to hide your phone’s appearance. 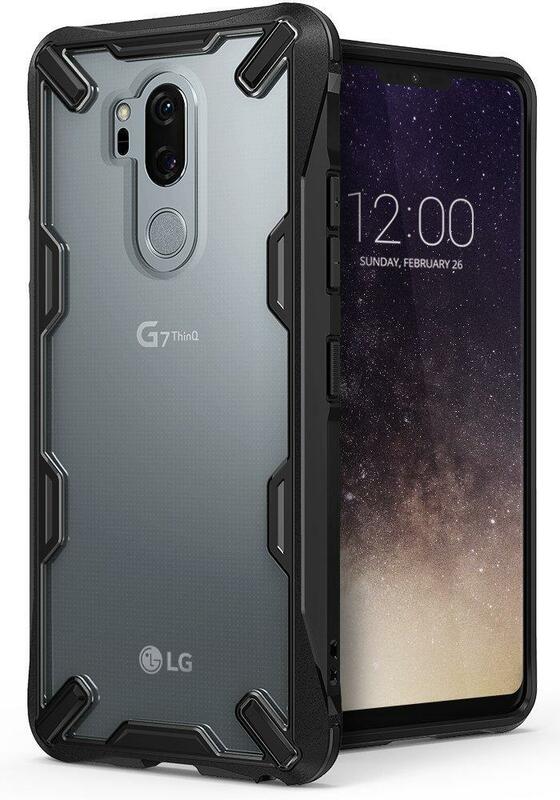 LG may not have reinvented the wheel, but the G7 is far from ugly. It’s a beautiful phone. 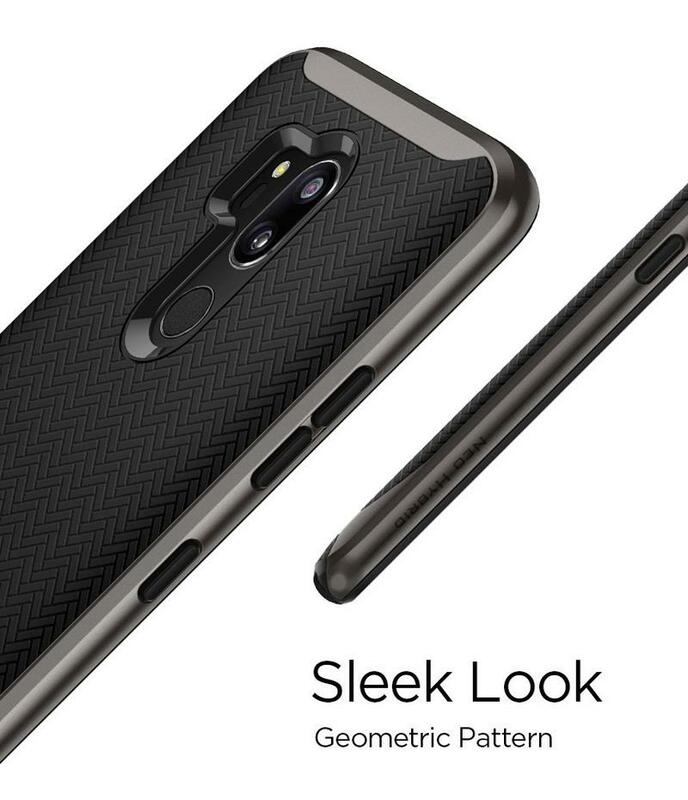 Spigen created this case to let you show off the flagship way its intended to be seen. 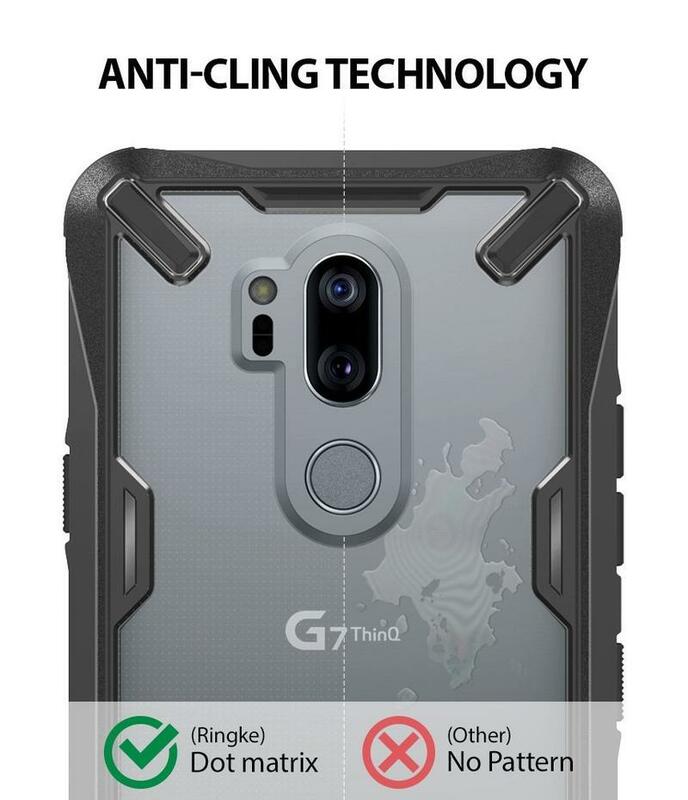 Beyond having your G7 shine through, the TPU-made case will do its part in protecting from nicks and knocks. Spigen’s Liquid Crystal brings that balance between size and functionality. 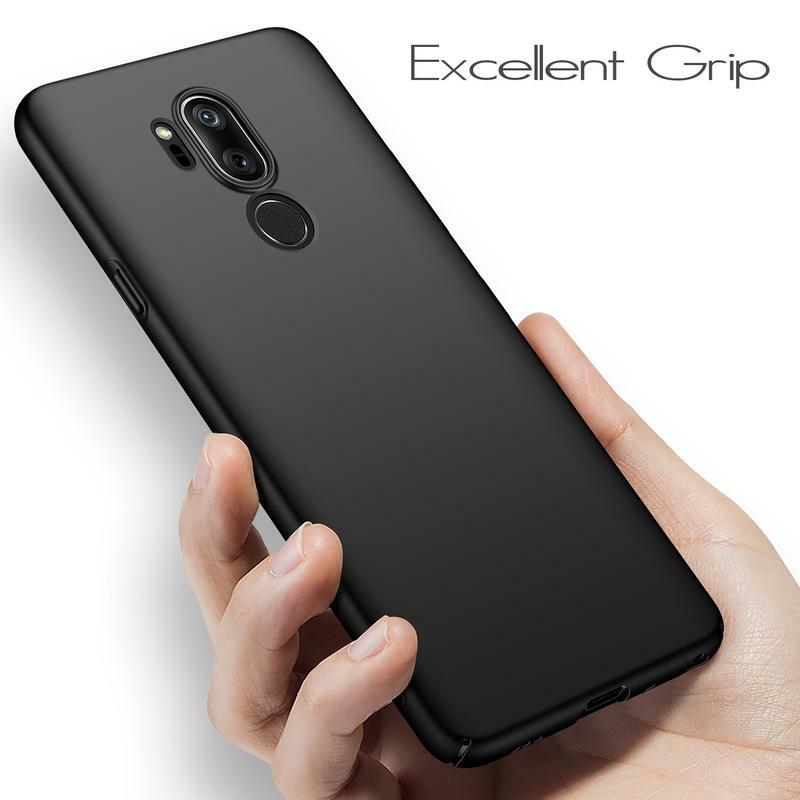 The case wards your G7, but it doesn’t add much to its thickness. The Liquid Crystal case also allows you to continue using the phone’s wireless charging feature. 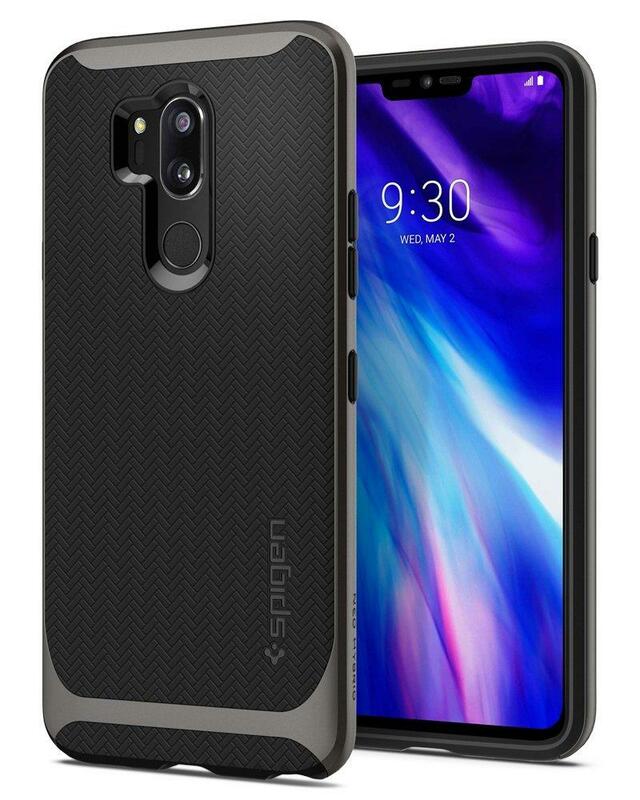 If you’re looking for average protection and love the G7’s look, Spigen and the Liquid Crystal case are calling your name.